Introducing our new Company Manager! Elephant Room Productions is pleased to announce the newest member of the herd, William Gwyn, Company Manager. 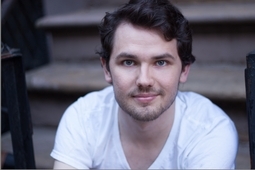 Will appeared in ERP’s first staged reading of Dano Madden’s Foothills Park, and is currently working on the “Elephant Ears Reading Series,” a new initiative at ERP. We are thrilled to welcome William into our herd!